The situation: Currently as parents (or a parent), you have taken out one or more direct federal Parent PLUS loans and/or private loans to help pay for your child's (or children's) college education. You wish to make the best plan going forward to repay these loans without being burdened by debt. What this page provides: The steps and resources needed to review your current loan repayment situation and create a comprehensive repayment plan that best meets your needs. Have you taken out one or more loans to help pay for your children's college education? If so, you have lots of company. In 2016, approximately 3.3 million parents borrowed a cumulative 74.5 million dollars in federal Direct PLUS loans. According to another recent study, the average amount a parent borrowed is $21,000 although many parents have much higher totals. The same study found that 13% of parents around age 50 were paying on student loans taken out for their children. If you have co-signed a private student loan for a child, you are just as responsible for repaying the loan as your child. Even if your child responsibly repays every cent, just co-signing such student loans has a negative impact on your credit. Some parents are also actively helping a child repay loans the child borrowed. If you have co-signed a private student loan for a child, you are just as responsible for repaying the loan as your child. Repaying student loans borrowed for your child's education can be a burden on your finances and future. Many parents find that such loan payments result, for instance, in having a smaller emergency fund or in saving too little for retirement. In addition, some parents are still repaying their own student loans. Whether you are paying off student loans you acquired for children who have now graduated or you have taken out one or more loans for children who are still attending college, here are steps you can take to better manage loan repayment. To best manage repaying the student loans you have borrowed for your children's education you must keep an updated overview of your total current student loan debt. Most parent borrowers have multiple loans and some may have multiple loans for more than one child. Whether you have several loans or just one or two, you need to have all the details at your fingertips. interest rates, monthly payments, what interest is accruing, and loan servicers. If you do not have such a current overview, follow these steps. If you already keep a current overview, check that you have all the suggested data and then compare how you are currently managing your loans to our recommendations. Locate all your Parent PLUS direct federal loans and info about them using the National Student Loan Data System. You will use your FSA ID (Federal Student Aid ID) to log into your existing account (or create an account). If you are currently repaying Parent PLUS federal loans, you should already have a FSA ID. Transfer this information to your factsheet. If you do not have a FSA ID, create one on the federal loan site. For answers to questions about a FSA ID, click here. List information about each private loan. You may have either private student loans for parents or have co-signed your child's private student loans or you may have both types of loans. If you have both types, list them in two groups. At present, you should assume that your children will repay their loans that you co-signed but keep the information current in case they fail to make payments. To identify information about each loan, locate your original loan documents. Your servicer or lender should also have sent to you a schedule of payments that indicates the amount of the monthly payment and the number of payments required for payoff. For up-to-date information, you may need to contact the loan's servicer; contact information should be provided in the original paperwork. Record the actual monthly payments you are making on each loan on My Student Loans Factsheet and Repayment Status. If some loans are in deferral, record what the monthly payment will be when the repayment period begins so that you can project your future repayment burden in addition to your current repayment total. Keep track of where you are on repayment. Because you may have some loans that you are currently paying off and some that are still in deferment (typically because your children are still in school), be sure to consider both current monthly repayment totals and future totals. When considering loan repayment, be sure to consider the overall costs off all loan repayment options. Tip: Repayment of Parent PLUS loans begins as soon as the complete loan is disbursed (paid out). If you begin repaying each loan right after disbursement, no additional interest accrues. 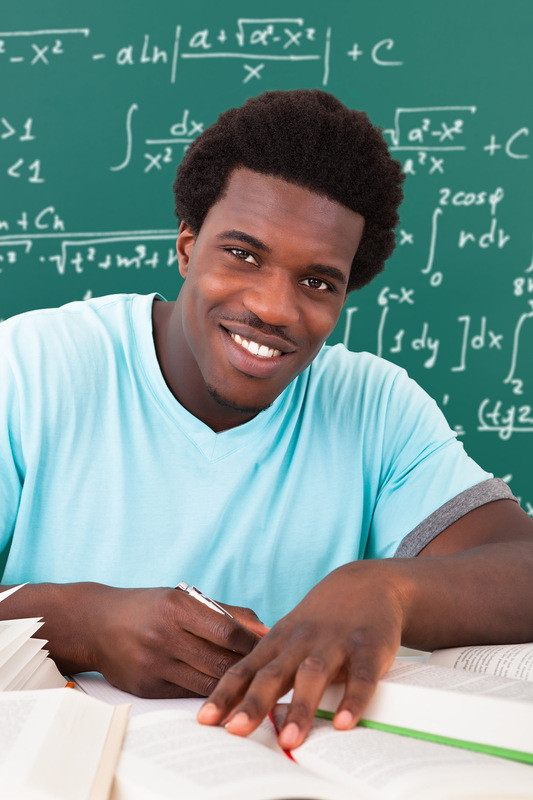 However, you may request to defer payment as long as the student beneficiary of the loan is enrolled at least half-time in school and for six months afterwards; however, interest accrues during this time. You may also choose to repay only the accruing interest during the deferment period. When considering loan repayment, be sure to consider the overall costs off all loan repayment options. Use our calculator to determine the dollar amount equal to 10% (up to 20%) of your salary or projected salary. Determine what percentage of your current monthly income your total student loan payments (or projected loans payments) represent. Projected payment you can afford at 15% of your monthly income. Projected payment you can afford at 20% of your monthly income. Is your current parent student loan payment higher than your projected affordable figure (10% to 15% of adjusted gross income or 20% of discretionary monthly income)? What percentage of your income is currently going to repay student loans? Is that figure higher than 10% (15% or 20%) of your monthly income? If your loan payments are less than your affordable figure, you are in good shape for paying off your parent student loans as quickly and for as little money as possible. Do you feel that making your monthly loan repayments is a financial burden (even if the total represents 10% or less of your monthly income)? Review opportunities to cut costs in your monthly budget and various repayment options for federal loans, and strategies for private loans in the following sections. If your loan payments are more than 10% of your monthly income, but you are comfortable paying them, then you are in a position to pay your parent loans off more quickly. You may wish to look at some strategies for paying off some of your loans more quickly than the standard loan term. If your loan payments are more than your affordable figure, be sure to consider the flexible repayment option for federal Parent PLUS loans and strategies for private loans in the following sections. The answer to this question depends on your income and living expenses. In general, a "debt service-to-income ratio" (total monthly payments) of 10% or less of a borrower's monthly income (adjusted gross income) is considered affordable. Some borrowers may be able to afford total monthly payments up to 15% of monthly income or 20% of discretionary income. If you consolidate one or more direct Parent PLUS loans, you become eligible for an Income Contingent Repayment Plan where the maximum monthly payment will be the lesser of either 20% of your discretionary income or the monthly payment on a 12-year repayment plan adjusted for income. (Click here to read more about repayment options on the StudentAid.gov website). To evaluate the affordability of your total parent student loans, you need to compare your total loan payment obligations to 10% (up to 15% and 20%) of your actual income. If you soon expect a job promotion or new position with a higher salary, you may wish to also consider loan repayment affordability in light of that expected higher income. Use our calculator to determine the dollar amount equal to 10% to 15% of adjusted gross income or 20% of discretionary income. Note: If you are considering a consolidation loan of direct Parent Plus loans, enter your discretionary income (not adjusted gross income) into the calculator. For the purpose of student loan repayment, the Department of Education defines discretionary income as "the difference between your income and 100 percent of the poverty guideline for your family size and state of residence." You can find these guideline tables at www.aspe.hhs.gov/poverty. Tip: If your child is still in college, before you take out more Parent PLUS loans or private parent loans, sit down with your child to work through the options for paying for college without depending as much on loans found in our guide Managing Financial Aid While You Are in School. If your child has not yet gone to college, plan ahead to minimize loans using our guide Before You Go to College: Planning College Financing to Minimize Using Student Loans. Michelle Singletary, nationally syndicated Washington Post personal finance columnist, shares reasons parents should avoid taking out loans for their children in The Bottom Line in Picking a University: No Debt for Our Daughter or Us. Select a plan that enables you to manage debt, not have debt drag you down or damage other financial plans such as keeping an adequate emergency fund, saving for retirement, or paying down mortgage debt on your home. If you currently are making separate monthly payments on each parent student loan as its payment is due, you don't actually have a repayment plan—at least, not a plan created to best meet your individual needs. 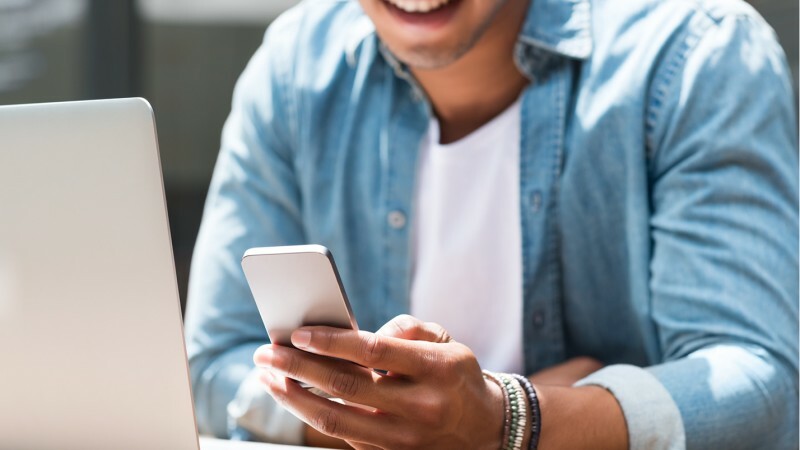 It's time to take a close look at the available repayment options and how you can use them to optimize your current situation and your future plans. If you have not consolidated all loans (federal and private) into one private consolidation loan, the first review step is to look at repayment strategies for each of your federal and private loans (if any). After these separate steps, you'll look at how to fit everything together for the best approach. If you have consolidated all loans in to a private consolidation loan, you will be limited with that loan to any options provided by private lenders. If you are repaying your federal Parent PLUS loans on the standard plan and need lower monthly payments, you may wish to consider a graduated repayment plan or, if you have more than $30,000 in student loan debt, an extended repayment plan. If you have less than $30,000 in debt, you may wish to consider consolidating one or more federal parent loans to take advantage of extended payments. One of the advantages of federal Parent PLUS education loans is that you can change repayment plans during the repayment term if your circumstances change and you need to restructure your repayment plan. For example, if you have consolidated loans and you take out an additional federal parent loan, you can consolidate the old consolidation loan and the new loan. 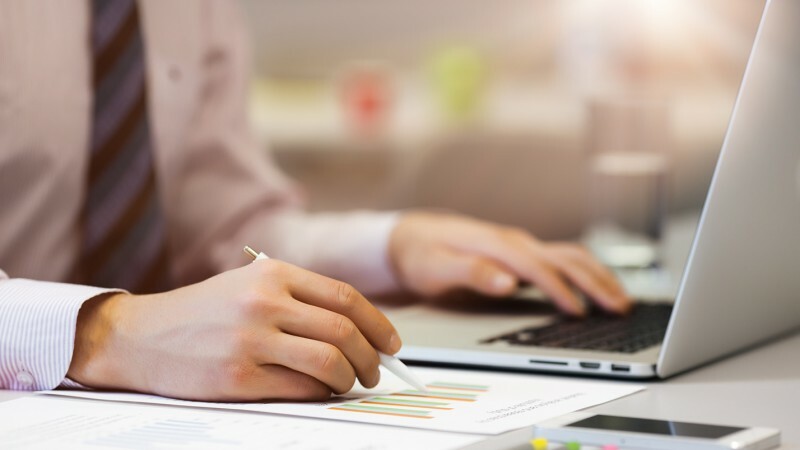 If you have rolled both your federal loans and private loans into a private consolidation loan, you have narrowed your options considerably. For example, you cannot use the one flexible repayment plan available for consolidated Parent PLUS loans (the Income Contingent Repayment Plan). As a result, in reviewing your options for better management, you will need to look carefully at what options private lenders may offer. Standard Repayment Plan - You make fixed monthly payments for up to 10 years. Graduated Repayment Plan - Your payments start at lower amounts and increase gradually, usually every two years, until the loan is paid off in 10 years. Extended Repayment Plan - If you owe more than $30,000, you may choose this plan in which you pay fixed or graduated payments for up to 25 years. If your loan is not paid off by 25 years, the remainder is forgiven. 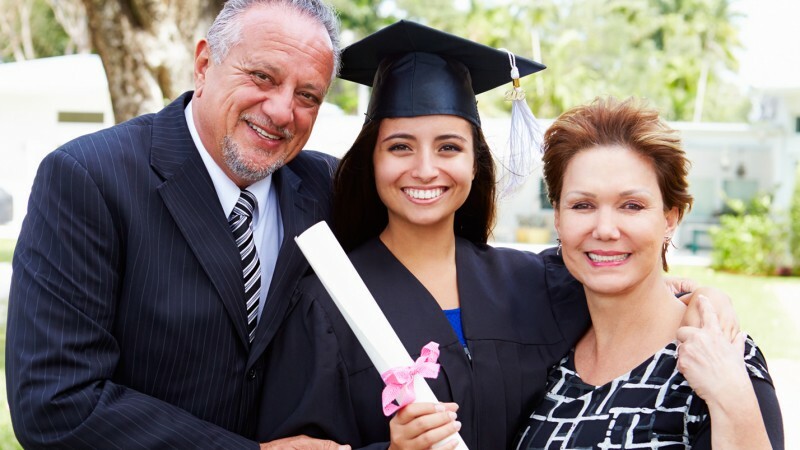 If you are repaying your federal Parent PLUS loans on the standard plan and need lower monthly payments, you may wish to consider a graduated repayment plan or, if you have more than $30,000 in student loan debt, an extended repayment plan. As you see, none of these repayment plans is income-based. However, if you consolidate your Parent PLUS loans by applying for a federal Direct Consolidation Loan, then Parent PLUS loans become eligible for one income-based plan—the Income-Contingent Repayment (ICR) plan. Even if you have only one direct Parent PLUS loan you can apply to consolidate it and then choose the ICR plan for that consolidated loan. Read more about this option. Note that you cannot use a federal Direct Consolidation Loan to consolidate your federal parent loans with federal (or private) loans you have cosigned for your student borrower or with private parent loans. To do that you will need to consider a private consolidation loan. As of this writing, some private loans (particularly for individuals with excellent credit) may have lower interest rates than the federal loans, but private loans typically do not provide the flexibility and protections (such as forbearance and discharge in certain situations) that federal direct loans provide. Also note that a Parent PLUS loan cannot be transferred to the beneficiary student by the student borrower taking out a federal Direct Consolidation Loan that adds the parent loan to the student's own loans. If you have more than one federal student loan, combining them into a single federal Direct Consolidation Loan may simplify repayment. If you need to lower your monthly payment, you may also be able to extend the repayment term (up to 25 years) on a consolidated loan using an Income-Contingent Repayment Plan. At the end of 25 years if there is a balance remaining on the loan, that amount is forgiven. A possible negative, however, is that you will pay more interest overall with an extended plan. If you have consolidated one or more Parent PLUS loans with a federal consolidation loan and then acquire more Parent PLUS loans, you may consolidate the new Parent PLUS loans with the existing consolidation loan into a new Direct Consolidation Loan. To consolidate one or more of your direct Parent PLUS loans, you must complete the application form found on the StudentLoans.gov website. Because the application is extensive and requires specific information about each loan you wish to consolidate, preview the application form and information about it here. Also have handy your up-to-date Student Loan Factsheet and Repayment Status. Tip: Although Direct Parent PLUS loans have application fees, there is no application fee for a federal consolidation loan. The interest rate is also fixed for the term of the loan; this fixed rate is the average of the weighted interest rates of the loans being consolidated rounded up to the next highest 1/8 of 1 percent. Signing up for automatic monthly payments may result in a lower interest rate. Warning: Because private loans cannot be included in a federal Direct Consolidation Loan, consolidating federal loans with private loans requires a private loan. As a result, you would lose the protections and flexible repayment options that your federal Parent PLUS loans have. Click here for a brief review of the issues from the Consumer Financial Protection Bureau. However, it is important to note that in recent years the interest rates and overall cost of Direct Parent PLUS loans have been higher than many fixed rate private loans. As a result, you may wish to carefully compare costs of a federal direct consolidation loan to a private consolidation loan; make sure that all aspects (such as fixed interest rate, potential rate discounts for automatic payments, and total costs) are equivalent before comparing and making a decision. When Do Direct Parent PLUS Loans Qualify for Deferment or Forbearance? And what about forgiveness for Direct Parent PLUS loans? Deferment: Federal Parent PLUS student loans qualify for deferment while the student for whom the loan was borrowed is enrolled at least half-time in school and for six months after the student graduates or leaves school. Deferment is also available if the parent borrower is enrolled at least half-time in an educational institution that is eligible to participate in the federal student loan program or if the parent is enrolled in a fulltime course of study in a graduate fellowship. Parents may also qualify for deferment if they are in an approved fulltime rehabilitation program for individuals with disabilities, if they are unemployed and meet rules for economic hardship (3 years maximum for deferment) or are on qualifying active military service. A loan in deferment continues to accrue interest during the deferment period although payments are not required during deferment. Forbearance: Forbearance describes a shorter term when payments may be temporarily suspended or the payment amount may be lowered but interest continues to accrue. Servicers may grant brief terms of forbearance for certain verifiable reasons such as illness or unemployment. Forgiveness: A federal Parent PLUS loan may qualify for forgiveness or cancellation in certain circumstances; these include full and permanent disability of the parent borrower, death of the parent or child, certain school closures, and other situations. Read more about these options in this booklet for parents with direct PLUS loans. When do Direct Parent PLUS loans qualify for deferment or forbearance? And what about forgiveness for Direct Parent PLUS loans? Recently many servicers for student loans have been criticized (and sued) for not providing clear and complete information about repayment options to student loan borrowers. 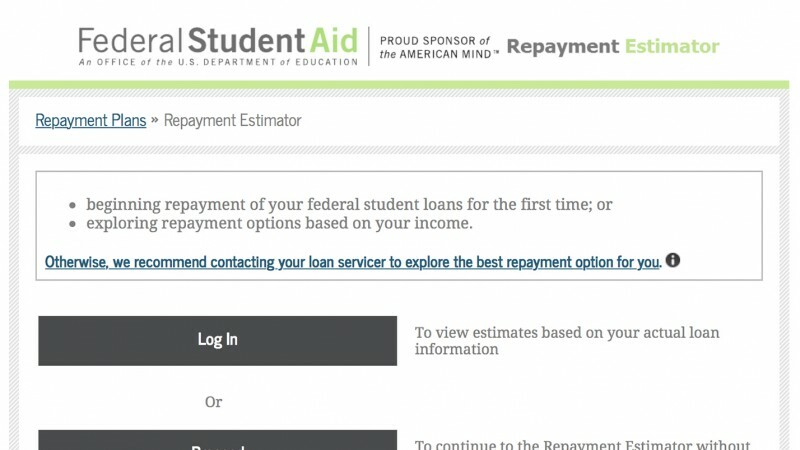 To protect yourself from not knowing whether you are getting sterling or subpar information, be sure to thoroughly research your federal loan options on www.studentaid.gov before calling your servicers to discuss options such as deferral, forbearance, and forgiveness (cancellation). You have already compiled facts about your private student loans on your factsheet. So you can see how the terms of your private parent education loans compare to those of your federal loans. Do they have variable or fixed interest rates? Many private loans have variable rates; federal loans have fixed rates. Depending on the terms of your private student loans, you may wish to consider some of the following options. Consolidate your private loans into one loan. If you have a good income and a high credit score, you may be able to refinance your private student loans into one loan at a lower interest rate. Because interest rates are currently at an all-time low, they are likely to rise in the future. If you can obtain a fixed lower interest rate, such a private consolidation loan might be a good option. Make sure any consolidation loan does not have a prepayment penalty. This short article from the Consumer Financial Protection Bureau offers more pointers on consolidating private student loans. Signing up for automatic payments may provide a small interest rate discount. Check with your loan servicer. Should you consider obtaining a home equity loan at a lower interest rate to pay off private (or federal) student loans? At today's relatively low mortgage rates, it is possible that you may be able to obtain a lower interest rate in a home equity loan with a fixed interest rate and term (a home-equity line of credit is never recommended for this purpose). However, you need to consider very carefully if you wish to put your home at risk to pay off student loan debt. Consider paying off your higher interest private loans first. If you have extra money or make an effort to free up extra money in your budget, making regular payments toward the principal of a high rate loan can reduce its cost and shorten the time to pay off. Before you attempt this, be sure the loan does not have prepayment penalties. After you have looked at all your repayment and loan consolidation options, compare how various combinations of those options would help you best manage loan repayments. Use your affordable percentage of income figure in conjunction with your understanding of your current and future resources to help evaluate different options. Do you need a plan that enables you to pay less per month (but pay more interest in the long-run) or can you make some larger payments to pay off some loans more quickly. When you have arrived at a plan, make the appropriate applications and keep a record using a blank copy of My Student Loans Factsheetand Repayment Status. When your new plan is operation, create a current Loan Factsheet as a summary of all the facts you need to keep track of your plan. An annual review of your parent student loan repayment plan will help you adapt your plan to your current life and work circumstances. For instance, a work promotion with an increased salary or one of your children beginning to live independently may free up money that enables you to make extra payments toward the principal of your most expensive loan. Such extra principal payments can shorten both the amount you pay in interest and the time to total repayment. On the other hand, if your employment or expenses have changed with the result you have less income, you may choose to switch to a federal repayment plan with lower payments to help relieve stress on your budget until you recover financially. One of the benefits of federal loans is that you can switch repayment plans as needed; the same is not usually true of private loans. As these examples illustrate, making an annual review of how your loan repayment is going can help you continue to meet your goal of paying off parent student loans as quickly as possible without causing financial hardship. Our Student Loan Section provides many resources to help parents and students consider the best use of education loans and approaches to loan repayment. See particularly the guides for various situations for managing student loan debt. Direct Loan Basics for Parents from studentaid.gov provides an overview of federal Direct Parent PLUS loans. If you have problems with the servicer for any of your parent student loans, you may file a complaint with the federal Consumer Financial Protection Bureau at www.consumerfinance.gov. The CFPB will then follow up with your complaint.